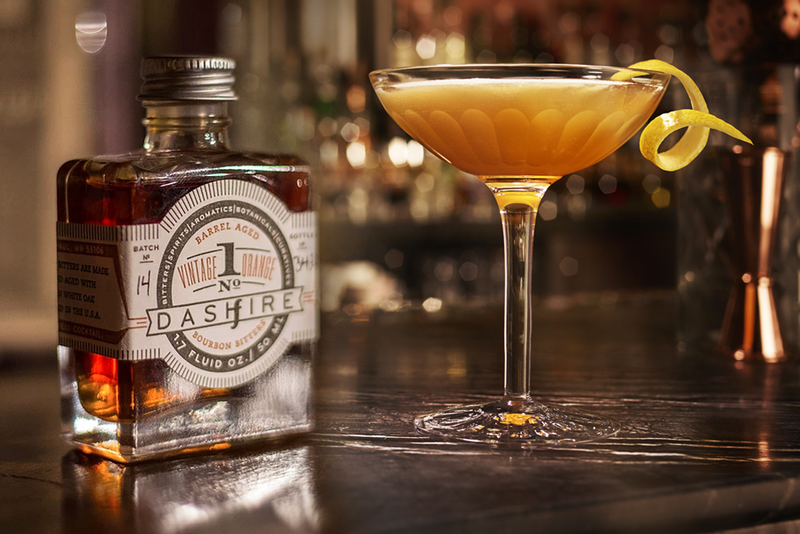 Listen to the story of the origin of Dashfire Bitters Vintage Orange – it’s Minnesota’s first (and only) barrel-aged bitters. Fresh orange rind is combined with quality bourbon and select spices, and then aged in a Minnesota-made white oak barrel to incorporate the flavor and sugars of the oak. Perfect for the classics like Old Fashioneds and Manhattans.